Based in San Mateo, California, NetSuite, Inc. is the top global provider of project management tools, including project management software. The company also has international operations in Japan, Germany, the UK and Australia. It became a publicly traded company in 2007 upon the release of its IPO, which generated over $161 million, and it has been the recipient of numerous industry awards. Today, NetSuite serves more than 20,000 clients in over 100 countries. Some of its clients include Chicago-based Garrett Popcorn Shops, Qualcomm, Roku, EBSCO, Siemens, and Go Pro. It specializes in cloud-based project management solutions. NetSuite’s mission is to assist clients in developing a system which integrates all critical business functions into a single “software as a service” (SaaS) application. Socially, NetSuite works to be a good “corporate citizen” by facilitating community service activities for employee volunteers, and by providing grants to social enterprises. Applications for pro bono services and donations are accessible on the company web site. NetSuite offers a number of business software applications. Its NetSuite SRP product is designed for project-based businesses. 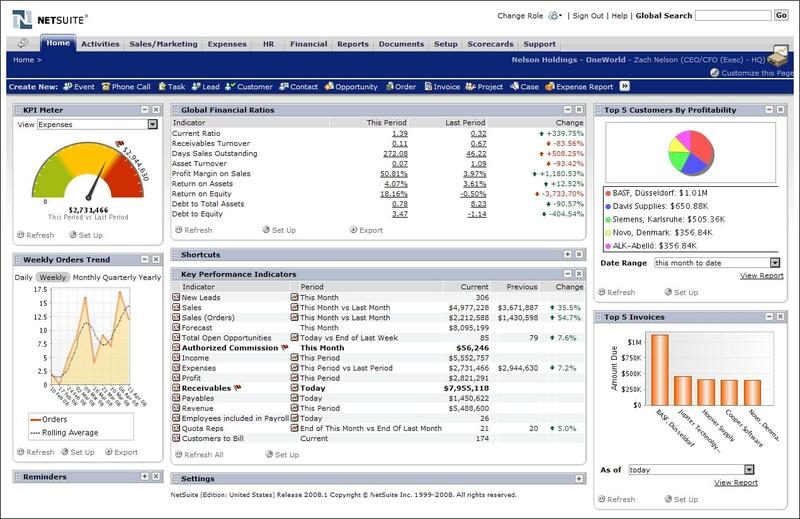 NetSuite SRP simplifies and integrates your business software landscape, providing efficient, customizable workflows that help your business complete projects more quickly, automatically generate accurate invoices, and decrease accounts receivable cycles to improve cash flows and eliminate revenue leakage. NetSuite SRP provides full visibility and control in real-time of your entire project-based business from opportunity identification to project and product delivery. NetSuite’s integrated solutions help eliminate double entry and reduce systems and integrations management overhead. NetSuite offers a number of training programs to clients, 24/7 customer support and, in what the company has identified as an increasingly in-demand credential, it administers a certification program which produces documented NetSuite product experts. Learn everything you need to know about NetSuite SRP. Our experts will reach out to you shortly.